Oguri Shun (29) and model Yamada Yu (27) are getting married. They intend to register their marriage on White Day, 14th March. 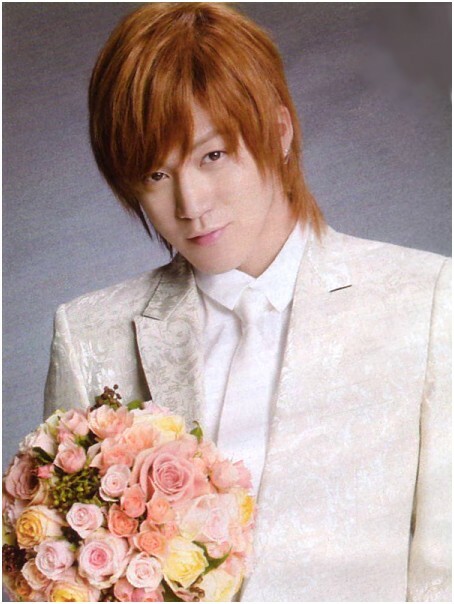 Yamada is not expecting and there are no plans for a wedding ceremony yet. 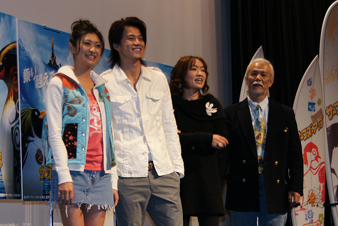 The couple got to know each other when they did Japanese voice-overs for the animated movie 'Surf's Up'. It was reported that both their families spent the New Year's holidays earlier this year together in Hawaii. Below is the joint statement faxed to the media on the 12th. Everyone is doing well this season of early spring. This is a private matter but we are making an announcement. We, Oguri Shun and Yamada Yu, are registering our marriage on 14th March. Many people have supported us to bring us to this joyous day and we are very grateful. From now on, we will support each other, cherish each day and create a warm home together. We look to everyone's support and guidance. Goodbye Hanazawa Rui. Grumpy, you have one day to fly out there and air your protests. I wanna take a cannon and blast it into this damn season of early spring and warm homes. Blackmailed into spending the rest of his life with her, our poor Rui! Oh, and if they break up after a couple of months or years I am so sending Shun "I TOLD YOU SO" box of letters!